An individual who causes injuries to another person can be held economically responsible for those injuries by a court of law. Anticipating this, the law requires that those participating in potentially dangerous activities, such as driving, carry liability insurance to cover costs in case such an injury occurs. These insurance policies are meant to cover the damages suffered by a potential victim in a personal injury case. There are limits to what these policies cover, though they vary based on how much an insured person is willing to pay as a monthly premium. 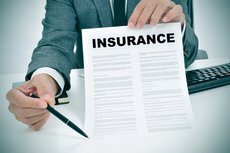 If a person is insured for up to $100,000, that individual’s insurance company will pay out up to $100,000.00 for substantiated damages suffered by the victim. If that victim’s injuries are more substantial, that is, if a jury awards more than $100,000, the balance of the money must be paid by the individual who is at fault instead of by the insurance company. An individual without insurance is often referred to as “judgment proof” meaning that, even if a jury awards a verdict against that person, the judgment that results cannot be enforced against him or her. As the saying goes, “you cannot get blood from a stone.” If a plaintiff in a personal injury case attempts to enforce a judgment against a defendant who lacks insurance coverage, the defendant may avoid paying by crying poverty and filing for bankruptcy. Such action may discharge the debts depending on the nature of the injuries and the accident. Similarly, any portion of a judgment owed by an insured individual without personal funds will be nearly impossible to collect. As a result, regardless of how much an individual has suffered as a result of the negligence of another, the amount he or she is able to collect is limited to the size of the defendant’s insurance policy. It is impractical to push a case to settle above the policy when it is nearly impossible to collect additional money. This pushes cases in which an individual has suffered catastrophic injuries to settle for substantially less than they might be able to receive if they were to go to trial. Although this seems unfair, a lawsuit is the only practical way to resolve these disputes when a defendant’s insurance policy limits are too small to cover the plaintiff’s pain and suffering.